The sale of property developer, Denis O’Neil’s Bellevue Hill home has marked another trophy sale in Sydney’s prestige property market. The $30 million sale is the most expensive non-waterfront sale this year and sets a new record for the suburb. 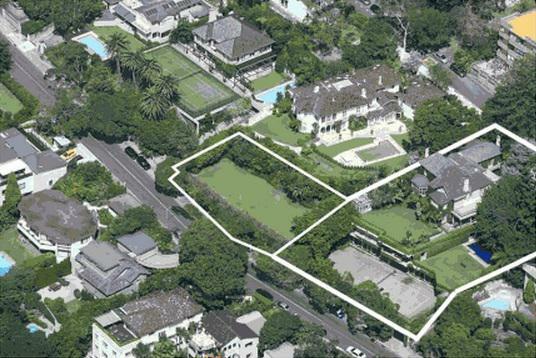 One of Sydney’s wealthiest suburbs, Bellevue Hill has seen the sale of the historic Queen Anne home, Caerloen for $22 million in January 2008 and another estate going for $23 million in 2009. O’Neil bought the 2120sqm property on Cranbrook Road in 1988 for $5.37 million and added the adjoining block in 1994 for $1.5 million. The adjoining block is still on the market. The property has prime position on the hill with views over the harbour and attracted a competitive market. It was listed on the quiet with hopes of $33 million under the agent Michael Pallier of Sotheby’s International Realty. The $30 million sale confirms for Sydney what The Sydney Morning Herald is calling “the heading into boom mode”. They said these tales of properties selling for staggering prices has Sydney homeowners “sitting on gold”.